Searching for that perfect dish or kitchen item? This week I was introduced to Fishs Eddy near Union Square. 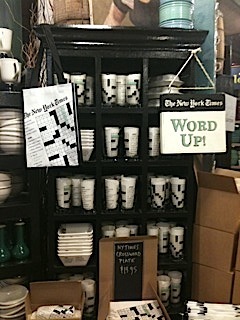 This specialty dishware store carries a host of quality kitchen products including cute new York-themed items that would make perfect gifts. 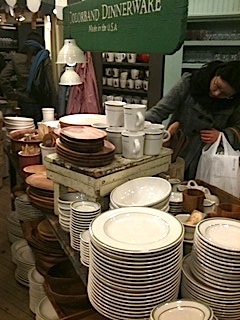 It's also a treasure trove for glass and dish discounts. Happy hunting! 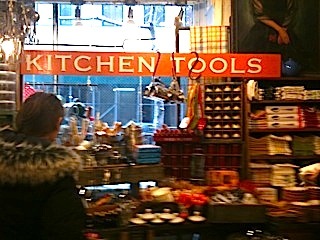 Fun TV news: Sunday, March 6th at 9 pm is the premier of the Food Network's Chopped All-stars! It's time to watch your favorite judges and chefs get judged themselves! It should be interested to see the tables turned. Set your dvrs! HB Sweets: Whoopie Pie Taste Test! My love of whoopie pies first started last year when I visited Maine for a wedding. Some believe that the dessert first originated in Maine, while others believe it was invented in Pennsylvania. I’ve often thought about that treat since last summer, and was thrilled when I met Marisa, founder of New York-based Wannahavacookie. I sampled her version of the sweet treats at the Entrepreuner Space Open House in LIC. As they say on most cooking and non-cooking reality shows, “This was an extremely difficult decision.” All of the pies were fluffy and delicious and the buttercream fillings creamy and luscious. There can only be one winner however. My favorite, by a nose, was the Red Velvet with Vanilla Filling, followed by the Chocolate with Vanilla Filling. I really like the seasonal pumpkin as well. Yum! What’s your favorite? Foodies and New York City history buffs rejoice, this 2009 book, edited by Annie Hauck-Lawson and Jonathan Deutsch, helps us all develop our own “food voice” while taking on a diverse and delicious journey through New York City’s culinary microcosm. This collection of original stories cover a range of fun and informative topics- from homegrown chefs to pushcart peddlers, hot dogs vendors to Four Seasons diners, traditional dishes to avant-guarde creations- there is something in this book for every food lover. 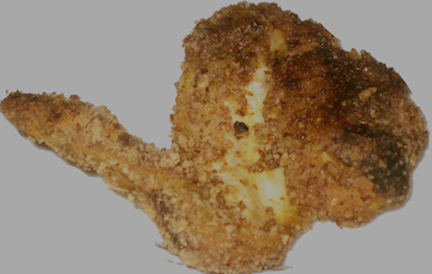 For more info click: Gastropolis. 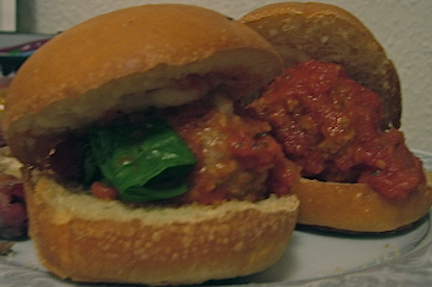 HB Eats: What do you crave? We all have those food guilty pleasures-- some are sweet, some are salty, and others are somewhere in between. My junk food preferences usually vary by my mood, but certain ones are pretty consistent. For example, every time I walk by an Auntie Ann's stand in Penn Station, Macy's Herald Square, or the Queens Center Mall (just to name a few), I am overcome by the buttery smell of warm pretzel dough. If I don't actually plan on purchasing a pretzel, I usually stare at the display longingly until I am firm in my decision, or I speed by as fast as possible to avoid further temptation. What can I say, I love them! So what do you crave? Donuts? Ice cream? Fast food? Chinese take-out? I want to know! At 10 pm on Valentine's Day the building super knocked on my door to inform me that a downstairs neighbor had a leak and it was coming from my apartment, specifically from my beautiful kitchen which was recently renovated. He spent last night attempting to fix the situation in the least intrusive way possible, and trying to avoid having to rip up the cabinetry. So far, so good. He had some luck with the pipes below, but now every time I wash a dish I will be worried about what could become of my favorite room! There is of course an upside to having no water in the kitchen... it's the perfect excuse to order takeout! I tried a new Thai place (new to me at least) in Woodside-- I Am Thai. I received their menu a few months ago and it looked promising, but I was hesitate to spend the extra few dollars that the dishes cost compared to my usual thai place. Well, I took the leap and I am so glad I did. It was awesome, definitely the best Thai food I've had in Queens in a long time. The steamed vegetable dumplings were fresh and light. The roasted pork soup with your choice of noodles was delicious, and enough for two meals. Finally, the beef pad thai was flavorful and not greasy at all. I can't wait to try more things from the menu! 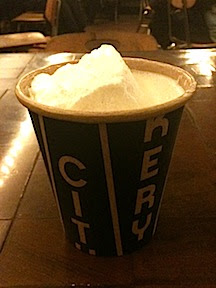 HB Drinks: Hot Chocolate Month at City Bakery - 13 days left! This week's weather forecast calls for higher temperatures throughout the week which I am very excited about! However, I am pretty sure that there will still be plenty of cold days ahead when we will all be in serious need of a warm pick-me-up. So if you love hot chocolate like I do (and homemade marshmallows), there are 13 days left to try City Bakery's special daily hot chocolate flavors for the month of February. I had the 'Ode to Polar Bear' drink today. I forgot to ask what the name meant before I ordered, and it turned out to be made from white chocolate. It was super sweet, but luckily I really like white chocolate. Check out the hot chocolate calendar for the rest of the month, and let me know if you try any of the other flavors! Looking an extra special sweet treat for your significant other or for yourself? 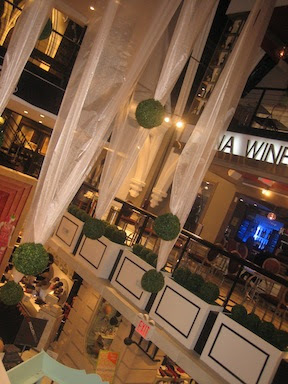 Check out the Sweet Room at the Limelight Market Place in Gramercy. This church transformed into a night club in the 80s and is now a renovated three-floor boutique shopping experience. The Sweet Room on the first floor has chocolates, cupcakes, brownies, whoopie pies, and more. I hope to get there sometime this week! The market also has some great specialty and gourmet food shops as well. Happy Valentine's Day! 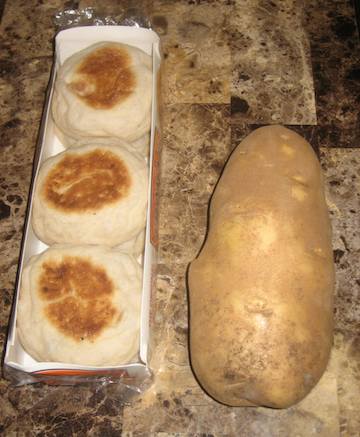 Check out the size of this potato that I found at the market! Congratulations to the Green Bay Packers for pulling out the Super Bowl XLV win, and thank you to the NFL for inspiring me to tackle such an extensive menu! My party took around 2 days of prep, including shopping and cleaning. The fantastic result was two dozen meatball sliders, a dozen deviled eggs, 42 dates wrapped in bacon, a dozen baked pecan chicken wings, 2 batches of homemade guacamole, and a football cake (as well as some fresh fruit and veggies)! All in all, the food turned out delicious. 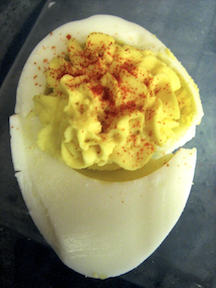 The deviled eggs received a lot of praise, and I used this simple recipe from my Better Homes and Gardens cookbook (14th ed.). The chicken wings and dipping sauce were also tasty, but I would cut down on the steak sauce ingredient next time. The big disappointment of the weekend however was the Wilton football-shaped pan. I used a box mix and followed the pan’s directions, but that resulted in a little too much batter, so the cake bubbled over in the oven and cooked unevenly. I recommend cooking slowly at 325 degrees no matter what homemade or box recipe calls for, and lining the pan edges with tin foil to prevent burning around the edges. Luckily frosting and a little trimming can cure most issues if the cake is salvageable. My guests had no clue that there were any baking flaws (one guest thought it was professionally done!). I have faith that the pan can work better with a little tweaking. It was a long two days, but worth the work! 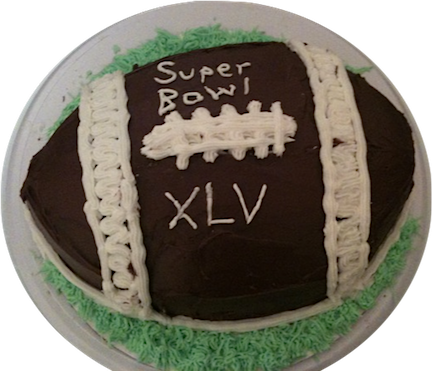 Do you have any great super bowl recipes you can share? Please add them in the comments section. It's never too early to start thinking about the next party!